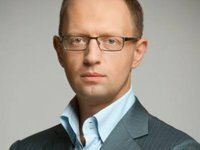 The Ukrainian government within the radical tax reform has proposed the number of taxes and fees be reduced from 22 to 9, substantially revising the taxation of profit, payroll, and agricultural enterprises and simplifying tax administration, Ukrainian Prime Minister Arseniy Yatseniuk has said. "The number of taxes and fees will be reduced from 22 to 9," he said, introducing the draft reform at a Cabinet meeting in Kyiv. He added that the government proposes the discussion of the draft tax reform with businesses and the entire country within a month and its submission to the parliament in the first week of September. "We believe that we have found the best economic and tax model," said Yatseniuk. According to him, the national budget for 2015 should be based on the new Tax and Budget Codes that form the basis of the government package of economic growth. The prime minister specified that it is proposed to cancel fees for certain types of business activities, those for natural gas, oil and gas transportation, tourism tax, taxes on viticulture, horticulture and hop growing.